The Estonian Broadcasting Council (RHN) is on Tuesday to discuss a complaint by Conservative People's Party of Estonia (EKRE) deputy chairman Martin Helme against the journalists of Estonian Public Broadcasting (ERR), whom he described as "biased." Social Democratic Party (SDE) member Kalvi Kõva, however, believes that the council should not even include the complaint in in its agenda. "Such a discussion alone sets a dangerous precedent," said Mr Kõva, SDE's representative on the RHN. "Political interference with ERR's editorial choices conflicts with the principles of liberal democracy. Helme's wish is no surprise; EKRE has been expressing its contempt toward the free press for a long time. 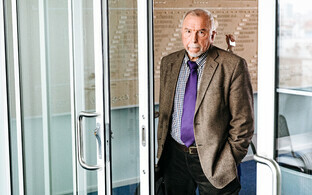 Helme hopes such a discussion will intimidate journalists into self-censorship." Mr Helme, who is eyeing the position of Minister of Finance in Centre Party chairman Jüri Ratas' second government, sent a letter to fellow members of the RHN seeking the removal from the air of journalists he described as "biased." He is accusing ERR of violating the principle of balanced coverage in news and opinion programmes following the 3 March Riigikogu elections, daily Postimees reported. "The Social Democrats unambiguously say hands off the free press!" 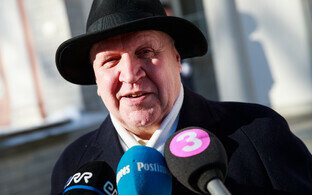 Mr Kõva said, adding that no journalist should be made to fear political repression for doing their job. ERR is independent in creating its programmes, and any political or other type of interference is an attempt to censor the free media, he stressed. "We agree with veteran television journalist Andres Kuusk," he continued, "Who said a week ago [while accepting an Estonian Film and Television Award], 'There is no censorship in Estonia, nor will there ever be — you can forget about that!'" 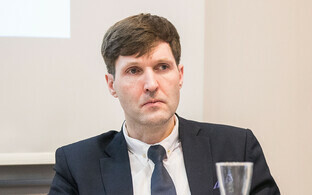 RHN chairman Rein Veidemann told ERR that every member of the council has the right to submit proposals in connection with the council agenda. He noted, however, that Mr Helme's letter is worded in a manner typical of the MP and includes accusations. "This could be considered intimidation," Mr Veidemann said. "The council cannot punish; the council does not have such a right or obligation," he noted, referring to Mr Helme's demands for the journalists in question to be punished. "Indeed, ERR is a media organisation which is legally bound to follow the principle of political balance," Mr Veidemann said. "At the same time, no such metric exists for [measuring] this; this is assessment-based. In order to ensure compliance to balance, ERR has an ethics officer, and internally, editorial chiefs have to monitor for and assess balance." The council chair also added that broad accusations of imbalance should not be submitted, as the RHN can only discuss specific cases.